Evident Grace Fellowship | God's grace made evident in our lives enables us to make God's grace evident to the world. 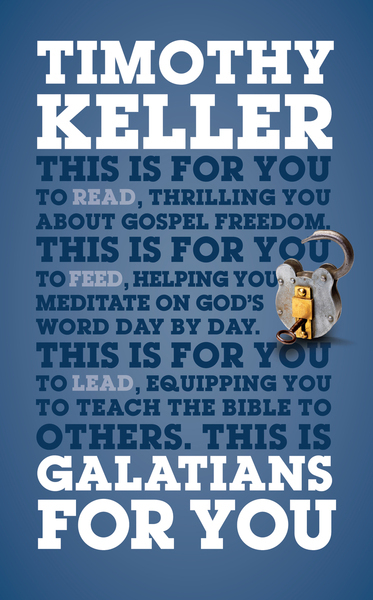 Kafasoto is excited to announce that they will be studying Tim Keller’s Galatians for You in 2015. Their first get together will be Friday evening, January, 30th at 7pm at the home of Tracy Greenberg. Kafasoto is our gathering of ladies at Evident Grace, and they meet once a month for a time of study and community. Meeting at a home gives our ladies the opportunity for a relaxed and fun environment to study in a pressure free environment, and it also provides a great place get to know each other. Why Keller’s book on Galatians? Well, Galatians does a great job of stripping away all the add-ons that sometimes come with faith in Jesus, and Keller does an incredible job of explaining the book verse by verse. Galatians for You can be used as a daily devotional, complete with reflection questions, or it can be read for personal study and enjoyment. Galatians for You also has an accompanying small-group study guide. Show up, bring a friend, order the book here, and have fun, ladies. Teaching our children is one of the valued distinctives that we pursue in our ever-growing community at Evident Grace. In light of that, we are excited to announce that on January 11th, Evident Grace will be offering children’s teaching programs ranging from infant to Grade 5. Here is how we are going to do it. 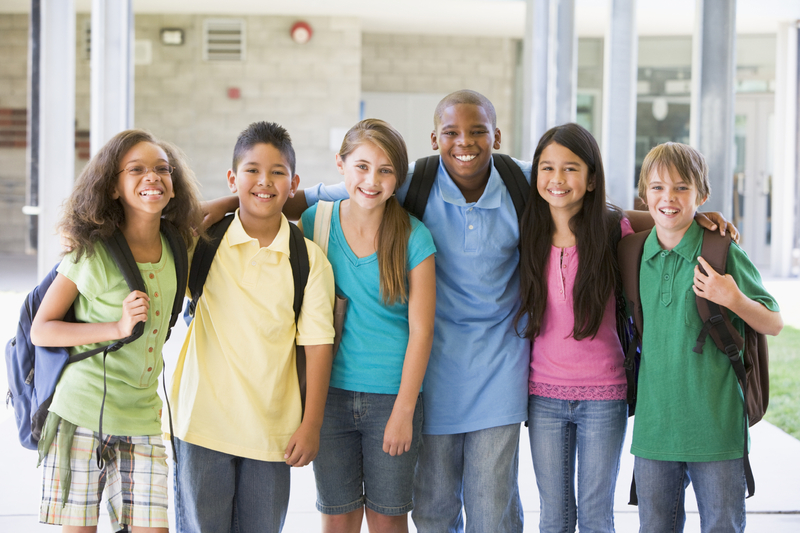 From 9:15am until 10:00am, we will be launching our first Sunday School for Grades 1-5. They will be meeting in our conference room, upstairs in our meeting space above Liberty Lanes. During that time, and over the course of the next 13 weeks, they will be studying the books of Exodus and Leviticus. During our 10:30am worship service, we offer a nursery for newborns up until age 2. Then during the sermon until the end of our service, we offer an age specific teaching time for ages 2-5. To insure you of any concerns, all of our childcare workers have been thoroughly trained and their backgrounds checked. Evident Grace’s Missional Pillars are Community, Worship, and Service. The expansion of our children’s ministry aligns with all three. Teaching our children builds a community for our kids and enables our families to make new connections and build relationships. Teaching our children enables worship as our kids learn more and more about the church, the scriptures, and Jesus. Teaching our children enables service as we desire to offer our children’s ministries to the entire Spotsylvania/Fredericksburg area. You can find Evident Grace each Sunday as we meet on the top floor of the Liberty Lanes facility. The Sunday School starts at 9:15am, and worship begins at 10am. You can find directions here. Titus 2:11-14 For the grace of God has been made evident, bringing salvation for all people, training us to renounce ungodliness and worldly passions, and to live self-controlled, upright, and godly lives in the present age, waiting for our blessed hope, the appearing of the glory of our great God and Savior Jesus Christ, who gave himself for us to redeem us from all lawlessness and to purify for himself a people for his own possession who are zealous for good works. In summary, Evident Grace exists because God’s grace made evident in our lives enables us to make God’s grace evident to the world. And those things should enable our church to grow in service to each other and our community. Invite Eagerly: which means we will live lives constantly aware to invite people to both become a part of Evident Grace and to begin a relationship with Jesus. Pursue Purposefully: which means that we will make a point to always greet new visitors and to meet with each other with the purpose of getting to know each other better and to enable each other to grow in their relationship with Christ. Serve Selflessly: which means that we will serve however and whenever the church needs and according to the gifting that God has given us. Give Gladly: which means that we will demonstrate our thankfulness to God for all that we have by giving financially to support the mission and work of the church. This mission, these pillars and these distinctives are much of why and how EG is going to show the grace of Christ to the Spotsylvania/Massaponax area. If you are new or curious about Evident Grace, please worship with us at 10:30 on Sunday. We meet at the comedy club above Liberty Lanes or you could just contact us at egfellowship@gmail.com. If you are already a part of Evident Grace, let’s get together to talk about these things so that we can pray and dream about what God might do among us. Many churches this time of year hold membership or partnership classes. In fact, Evident Grace Fellowship, will be hosting one soon. Culturally, however, one notion that continues to gain popularity is whether or not church membership, affiliation, or partnership is biblical. There is a popular notion that church membership is an option for the believer. So, is it? I bump into this idea that the structured, organized church is broken and can sufficiently be discarded for such reasons as style. So then, is the organized church antiquated and out of date? Can we just discard it and live more “robust, spiritual” lives? I would answer “no” and not just because I’m a pastor. Many will say that you can’t find the context of church in any organized, structured way in scripture and that living church is simply living out Christ’s commands. But that is hard to do without the organized church. How do you obey Christ and rebuke a brother and eventually take him to the church if it is not organized (Matthew 18)? How do you appoint elders and deacons if the church is not organized (I Timothy 3 and Titus 1)? How do leaders care for your soul and how do you submit to those leaders if you are not organized (Hebrews 13:17)? How are pastors ordained to ministry if the church isn’t organized (I Timothy 5)? Why would Paul warn the Corinthians to eat at home so as not to make pigs of themselves during the Lord’s Supper if the church is not organized (I Corinthians 11)? These are all direct commands of scripture. Obedience and thus loving Christ is living out these commands. The church, however flawed she may be, is a wonderful gracious gift of God intended to nurture and care for souls while glorifying Jesus. I agree that the church has structures that are traditional and formal by very nature of an organization that has met for 2000 years, but that does not mean the the organism as it exists today is non-biblical. Being a Christian does make you part of the church. But declaring to live a life outside the commands of scripture (which include the commands to organize the church) is an inherently non-biblical and non-Christian attitude. My urging for folks who want to abandon the church? Don’t. Biblically challenge the structures that frustrate you. Love her, but don’t leave her. Love that does not desire Godly change will just become empty criticism. Love that desires Godly change is effectual love. Have you ever been to a restaurant and seen a dish on the menu that interested you? Of course, but the way most restaurants work is that you don’t get a taste ahead of time to find out if you really like it. Your choices are either taking a risk and ordering the dish or skipping it for something that you know you will like. The problem is that you will just never know if the dish you skipped was good or not. Churches can be the same way. Maybe you like the service or you like an event that they hosted, but often, there is not any venue where you can find out more about the church. Most folks have questions that they would love to have answered, but where can you do that with a church? Well, Evident Grace will be hosting a “Taste and See” get together Friday, September 12th at 6:30pm, for anyone who would like to know more about the church. The idea is for Gordon, the pastor, to spend some time presenting the history and vision of the church, coupled with a hope for where Evident Grace might be going. Jeremy, our pastoral intern, will be there as well, so hopefully, between the two, most of your questions can be answered. There will be plenty of opportunities for Q & As, and as any good event should have, there will also be food. This will be a completely non-pressure, casual get together much like friends discussing something they like or want to know more about. There will be none of this, “What will it take to get you in this car today?” salesmanship. In fact, it will be a great, low-key event to bring a friend. If you have questions or would like to confirm, contact Gordon at jgordonduncan@yahoo.com or call him at 919-412-8161. 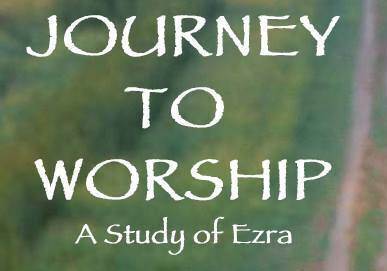 Excitedly, on Sunday, September 7th and continuing until the holidays, Evident Grace Fellowship is launching its new sermon series, Journey to Worship – A Study of Ezra. Why would a young church, or any church for that matter, endeavor to study, what for some might be, an obscure Old Testament book? There are several reasons. Ezra is a book about a community returning to their homeland to reestablish the worship of God after a period of time where worship had been forbidden. Those that remained at home must now integrate with those returning, and both communities have to manage lots of hopes and expectations. Each hopes for a vibrant life of worship. Each knows their own expectations, but they don’t know what to expect from each other. What an incredibly practical book to study for a young church like Evident Grace Fellowship. We have been meeting for a year and a half. We are a community gathered from many different backgrounds. We too have expectations, and we too are learning to grow and learn as a new community with a new identity. And we are just like Ezra, God is making something beautiful and united out of gathered communities. Also, the events of Ezra and its companion book Nehemiah, are the final historical events in the Old Testament that lead up to the work of Jesus. 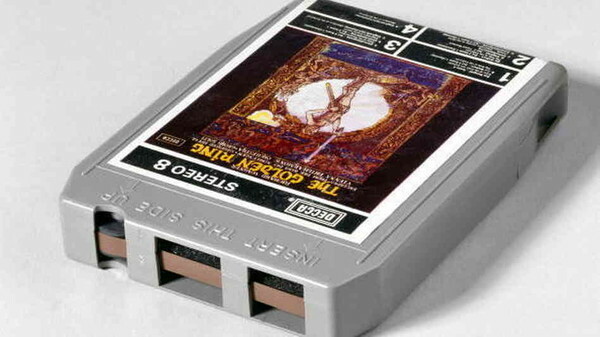 It is an anticipatory historical account. We can look at those days, on this side of Jesus work, and learn so much about the joy promised to a community who now fully understand Jesus work. In that, we as a community can grow in greater worship and commitment to God and to each other. So, why study this book? Ezra was living on a hope promised. We are living on a hope fulfilled. I had a wonderful conversation with someone from EG this week, and we were discussing how many churches (and our denomination specifically) have a hard time comforting and caring for folks when they suffer. He described it in this way. Most churches do not know how to enter into people’s hurts. What an incredible statement…and sadly true. We spent the next hour or so discussing the problem. We came up with an analysis, and I hope in this small post to begin to move us towards addressing how poorly churches (including ours at times) enter into grief. In our discussion, church folks typically respond to hurt, harm, and grief in one of three ways. The Reformed community says: God is sovereign. The non-Reformed community says: God has a purpose and plan in everything. And the non-religious response says: It is what it is. Each one of these is a simplified expression of deeper truths. Unfortunately, they all shut down conversation. God is sovereign means that we shouldn’t ever dare question what God is doing. God has a purpose and a plan in everything means that if you wait long enough, either something good will happen or you will figure out what God is trying to teach you. It is what it is says you aren’t in control of much is this world so why keep talking about it. I think Evident Grace must be a church that offers more. But what more is there? Well, outside of scripture, we don’t know the mind of God, so assuming on our part or anyone else’s why things are happening is rarely helpful and many times dangerous. So, let me offer a few things that we can do as a church to meet people in their need. Weep with the weeping – Throwing a party and showing joy when people rightfully have events of joy is great, but we also need to comfort by crying when people cry. So much of grief is the struggle of feeling alone. 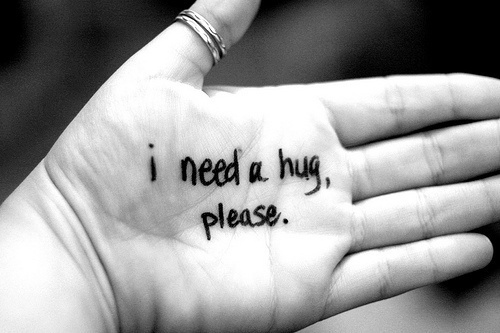 An appropriate arm of comfort and a shared cry go so much further than empty platitudes. Be Hospitable – Hospitality is both the opening of our homes to people hurting and the meeting of practical needs to those in need. Hospitality is the meeting of simple needs like clothing, food, and warmth when grief is so great that those needs are neglected. Neighbor – Neighboring is the constant awareness that you are near to do either of the above two. Neighboring is the offering of one self to another for love and friendship. While there are other ways to enter grief (feel free to offer some), growing in weeping, showing hospitality, and neighboring communicate care and love to the hurting and represent the love of Christ well. Christ wept with us and for us. Christ was hospitable by meeting our need. Christ was our neighbor because He came to us in our hurt. Let’s pray God grows this in us more and more, so that at least one person will feel comfort and believe that someone has entered into their grief. As Evident Grace moves into the second half of summer 2014, we are launching a 6-week sermon series entitled “Life Together” on July 27th. “Life Together” will give a clear picture of what it looks like for us to live out our 3 distinctives: Community, Worship, and Service. 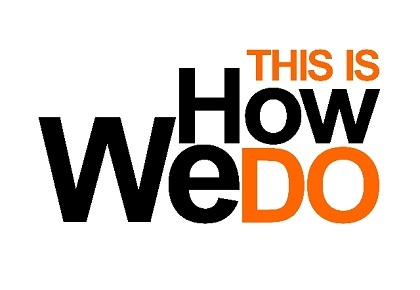 Our series is going to give us the opportunity to explore these “Life Together” distinctives in two different ways. We are going to explore Community, Worship, and Service by celebrating. As we study the scriptures, we are going to see that celebrating what God has done is essential to our Community, Worship, and Service. This way, we can speak of the Community, Worship, and Service milestones that God has given us in the past year and half, and we can study and pray specifically about where we might go next. We have only scratched the surface of the depth of Community, Worship, and Service that we hope for at Evident Grace, so seeing those things as they are presented in scripture and thanking God for what He has done, puts us in the perfect place to pray, plan, and prepare for what comes next. Celebrating is essential for our “Life Together”. We are going to explore Community, Worship, and Service by growing in Biblical leadership. As we study the scriptures, we are going to see that growing in Biblical church leadership is essential to growing in Community, Worship, and Service. The scriptures devote a great amount of time discussing what local church leadership looks like with elders and deacons, so we must understand the scriptures well as we move towards recognizing, training, and installing that leadership. Multiplied and mature church leadership enables our people to be led well and mobilized well. Biblical Leadership is essential for our “Life Together”. 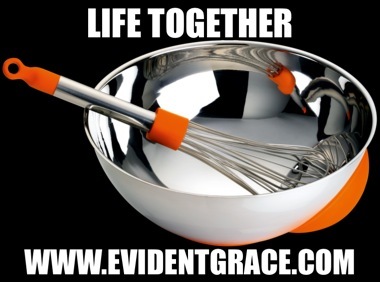 Join us as we study and do “Life Together” beginning July 27th. 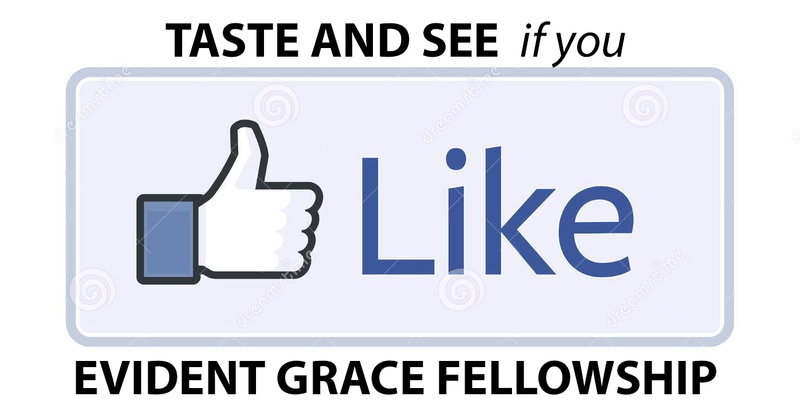 You can find directions to our service as well as many other details about Evident Grace at www.evidentgrace.com.